Forest stream running through native bush. Aerial view of Makatote River, Tongariro National Park. 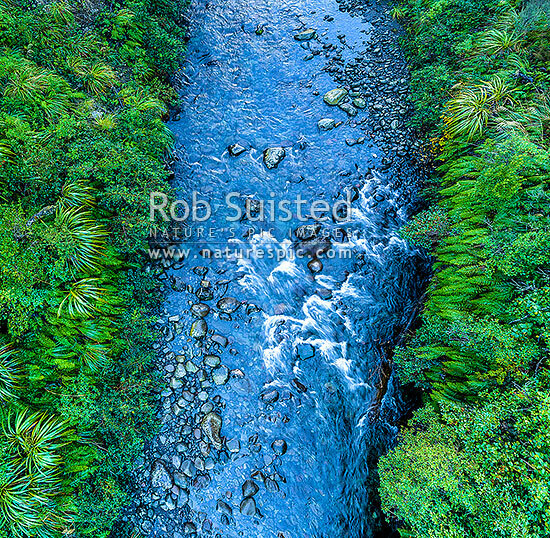 Square format, Makatote, Ruapehu District, Manawatu-Wanganui Region, New Zealand (NZ), stock photo.